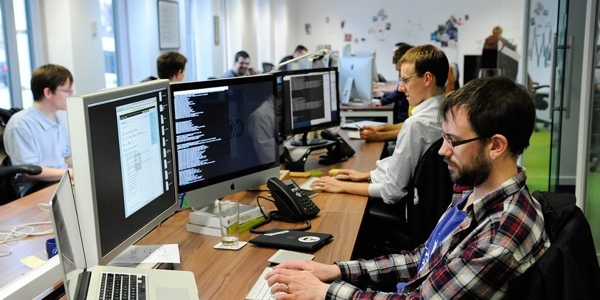 At FreeAgent we strive to create the best working environment we can for our Engineering team. A happy employee is a productive employee and, as an engineer myself, I understand that there’s little that makes us happier than fast interwebs, great coffee (or tea, served from a teapot, naturally), free beer (or Irn Bru), shiny new toys and an endless supply of challenging code to craft. This is why we use Ruby, buy Herman Miller chairs, top-of-the-line Apple gear and have ended up with an amazing office full of brilliant people. In the ‘enterprise world’ it’s called Investing in People, but it’s full name is actually Investing in Shiny Stuff for Nice People™. Which leads me onto the subject of conferences. Today’s tech conferences are fun, sociable, held in hip cities across the globe and have genuinely useful content presented by engaging, inspiring people. This is especially true for the Ruby community, which has a wealth of conferences to choose from. It’s very hard to attend one of these conferences and not come back inspired by your craft and the people involved in the community. Yet despite this, it can often be difficult to convince one’s boss that it’s worth shelling out a grand to fly staff on a jolly to Barcelona for the weekend for two days of presentations and parties. Funny that. But we don’t think this way. It’s crucial to us that our engineers feel inspired by their craft, and we recognise that attending (not to mention speaking at) conferences is an important way to get inspiration for your work, to socialise with engineers from other like-minded companies and get to feel part of a real community, a movement. We also don’t want our engineers to feel in any way lonely in another city either, so we always try and make sure we send people in pairs (or more!). I’m convinced this is money well spent. If you’re attending any of these, be sure to hunt us down (via Twitter or just look out for people in FreeAgent hoodies!) for a chat over a cup of tea. From a teapot, naturally.